A project by the Cruthers Collection of Women's Art, Curated by Gemma Weston. 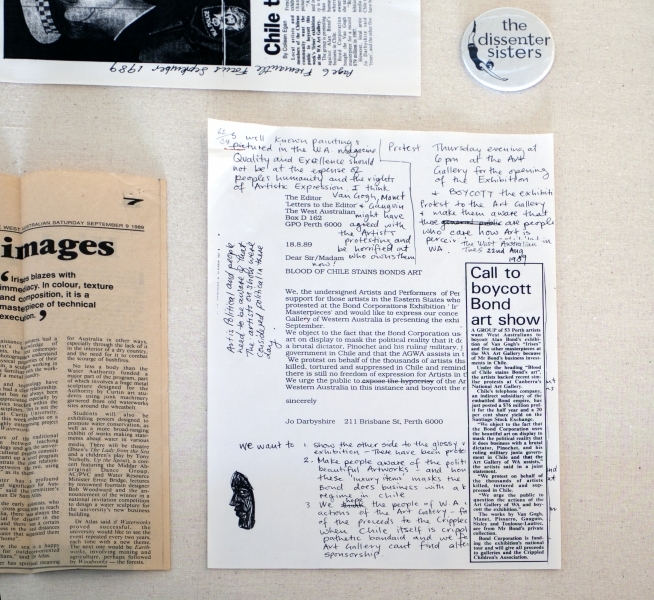 Remembering ARTEMIS brings together a series of texts discussing the ARTEMIS Women’s Art Forum INC, an organisation devoted to raising the status of women in the arts in Perth, Western Australia, in the late 1980s. ARTEMIS began as a series of informal meetings between women working in the arts and eventually grew into an organisation with close to 300 members before losing its funding in 1990. 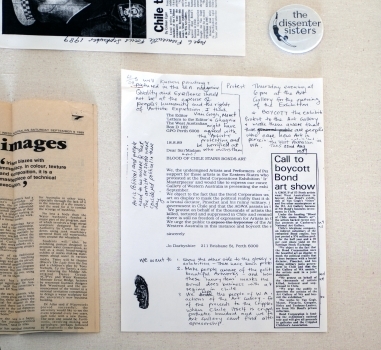 The rise and fall of ARTEMIS unfolded amid a ‘golden age’ of creativity in Western Australia that fostered experimentation and collaborations between disciplines and a boom of activism and political awareness, particularly among women, who sought new support structures, language and visibility for their work. 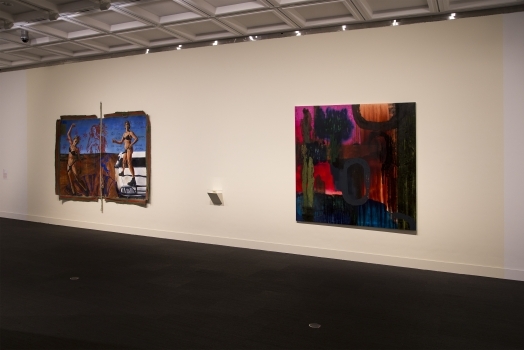 This collection aims to examine an under-recognised history of Western Australian feminist art practice - occurring against an often-tumultuous political landscape of both reform and excess - against the broader context of Australian feminism and contemporary art. Often conversational and contemplative, Remembering ARTEMIS reflects not just on the organisation but on the ways in which history itself is – or isn’t - made. 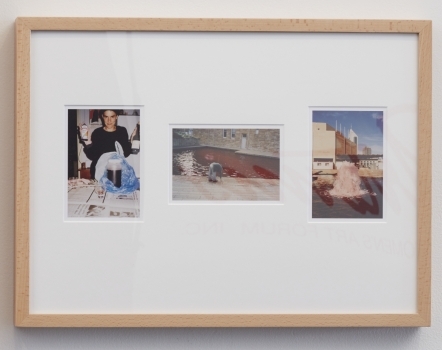 Lawrence Wilson Gallery at University of WA is having a second look at ARTEMIS -the Womens art collective that operated in Perth in the 80's and early 90's! I have old and new work in the show as does Penny Bovell, Taylor Reudavey and Teelah George. WIldflowers was originally exhibited at Lawrence Wilson Art Gallery in 1995, in the exhibition bur-ran-gur ang (court out): WOMEN and the LAW, part of both the Perth Festival and the 20th anniversary celebrations of International Women's Day. This exhibition featured both Aboriginal and non-Aboriginal artists examining the impact of facets of Australian law - for example, laws concerning Native title, copyright or sexual harassment - on Australian women. Wildflowers synthesises many of the themes that Darbyshire had been exploring throughout the 1980s and early 1990s - lesbian experience and relationships, a critical view on Australian narratives of place and landscape, and a mode of figurative painting inflected by surrealist narrative - into an ambitiously scaled piece. 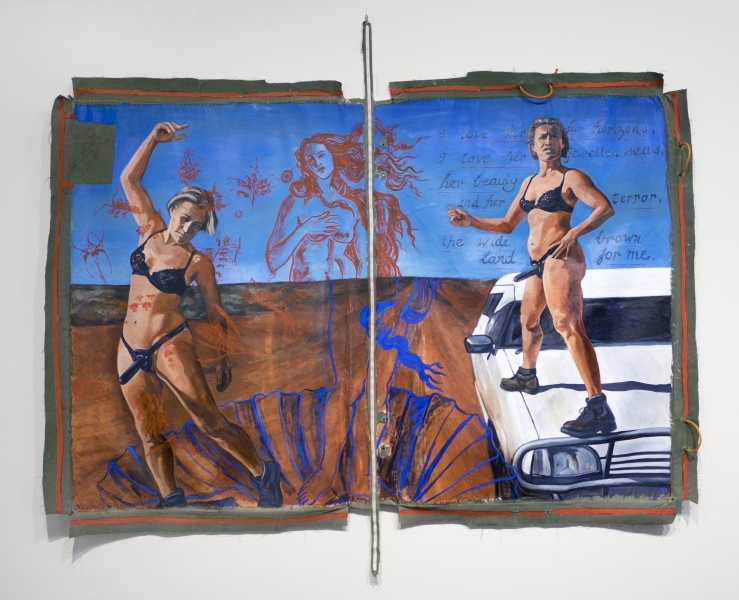 Peppered with cultural references to gendered stereotypes and augmented by graffiti found in-situ on the surface of the gym-mat that forms its canvas, the painting suggests a profound ambivalence with expectations of gender, sexuality and the roles of women in white Australian culture. 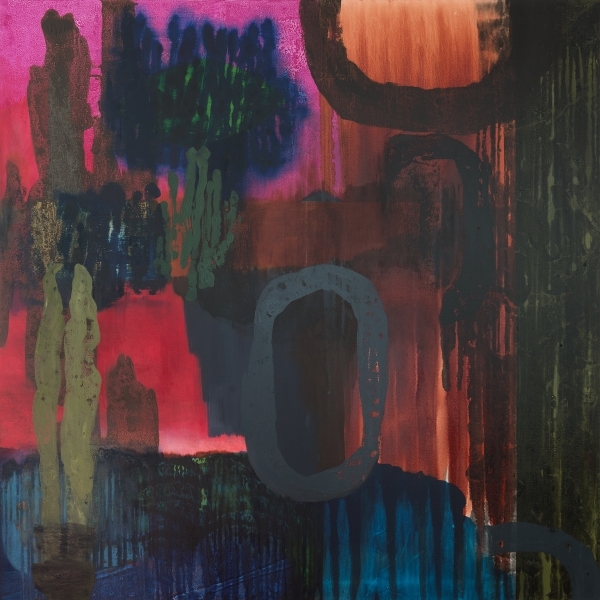 WIldflowers is exhibited alongside one of Darbyshire's most recent paintings, from The Glorious Decline series of 2018. Darbyshire describes how her work has shifted in the interim period: "My work has changed over the last three decades – from an initial desire to try to convey a message, to a desire to convey a feeling through the materiality of paint and a more abstract approach - to allow the audience to make/have their own meaning." The Glorious Decline draws from botanical motifs and Darbyshires' private iconography of shapes and colours, referencing "the transitory nature of life, of layers of history, the beauty of life lived, faded and grown over." 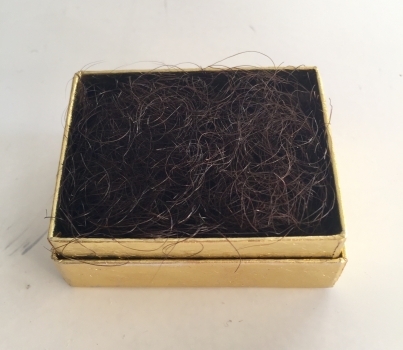 Between the two works sits a gift the artist made to her "partner in crime " from the 1980s, the artist Michele Elliot - a small, densely packed box of pubic hair. 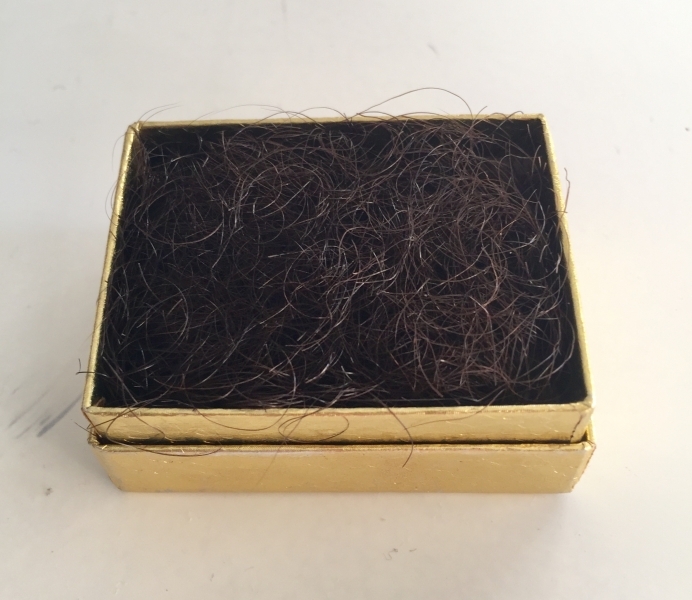 Preserved in its gold box, the gift recalls the abject beauty of a holy relic - a body caught in a transitional state between figuration and abstraction.